George Ezra announce SITG 2017 sideshows for Sydney & Melbourne. After a sell-out debut Australian tour in 2015 and performances at Falls Festival and Southbound, George Ezra has announced Sydney and Melbourne sideshows to accompany his upcoming Splendour In The Grass 2017 appearance. 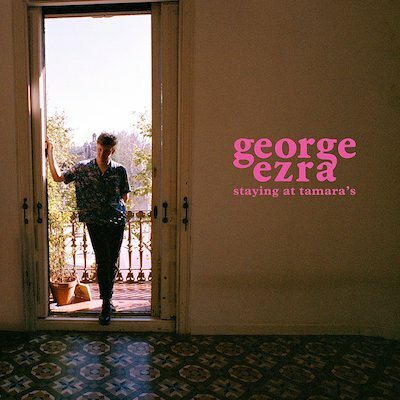 "Off the back of performances at some of the biggest international festivals in June, including Isle of Wight Festival, Parklife Festival and Glastonbury, George Ezra will be hitting the stage with global successes ‘Budapest’, which achieved platinum status in both the UK and the US, and ‘Blame It On Me’, UK top 10 single, from his debut album Wanted On Voyage. Selling a total of 3 million albums worldwide, Wanted On Voyage was the third best-selling album of 2014, and the 10th best-selling album in 2015 in the UK. George Ezra has been nominated for 4 Brit Awards, MTV Music Awards, Q Awards and the Ivor Novello Awards." MusicInterview: George Ezra on new music, mental health, and playing Auckland City Limits. MusicGeorge Ezra performing ‘Did You Hear The Rain’ live at BBC Radio 1’s Big Weekend 2015. MusicWatch: senior citizens react to George Ezra's song 'Budapest'. MusicGeorge Ezra - 'Shotgun' music video. MusicGeorge Ezra - ‘Hold My Girl’ music video. MusicGeorge Ezra performs 'Budapest' live on Ellen. MusicGeorge Ezra - 'Budapest' live for Jools Holland.